Lincoln Square Loft Condo with panoramic mountain views from every room! Fabulous updates, turn key living, convenient location and great amenities. 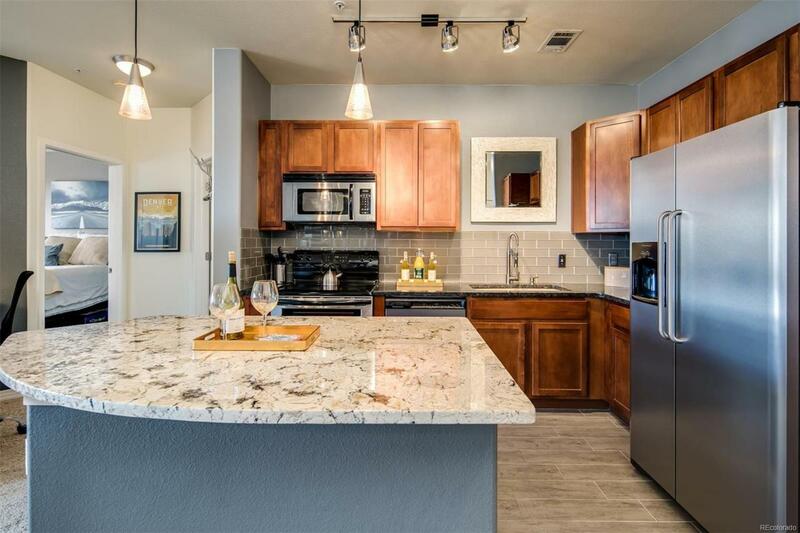 This one bed one bath unit offers an open floor plan with high ceilings and natural light. Tasteful upgrades include: Granite counters, maple cabinets, modern tile and flooring, gas fireplace with blower, blackout blinds in master and living room, built-in desk area, Large master with walk-in closet and 5-piece bath. Private balcony with mountain and sunset views. Located in the Lone Tree Entertainment District walking distance to the Lincoln Light Rail station, numerous bars, restaurants, movie theater and coffee shops. Park Meadows Mall minutes away. Community amenities include Olympic size pool, outdoor Hot tub, fitness center, Clubhouse/Business center. 14 minutes to DTC and 23 minutes to downtown. Reserved Parking space in Secure, Underground Garage. Guest parking.Easy and convenient living near the Tech Center. Furniture Negotiable.